Kinnoull Parish Church sits at the heart of the community which it serves. 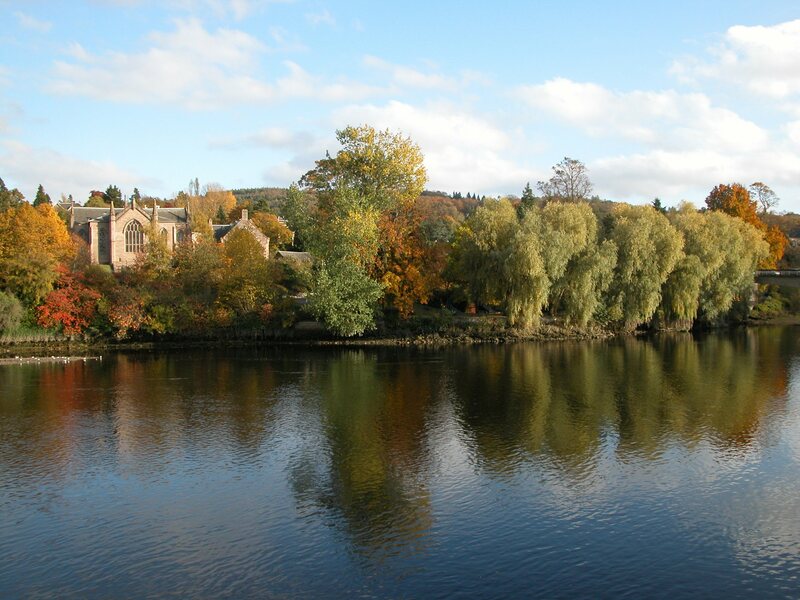 It is a particularly beautiful and well maintained building set within its own gardens on the banks of the River Tay. Sunday worship is held each Sunday, with services starting at 10.30am — Watch live. In the face of an increasingly secular society Kinnoull has maintained a strong and vibrant worshipping congregation. We are fortunate to have had the recent installation of an excellent Makin three manual organ which was endowed in 2008. The fine acoustics in the Church means that despite no longer having a formal choir the congregation enjoys being its own choir as it praises God Sunday by Sunday. Kinnoull Parish church has a special link with Capability Scotland in its residential site at Upper Springland which lies within the Parish and has a regular company of members and adherents who attend worship with us in a specially created wheelchair area each week. As the Parish Church, Kinnoull is there to offer a place to celebrate the major events of life: Weddings, Baptisms and the Blessing of Children and Thanksgiving Services for lives that have come to an end. Our buildings are not only a place of worship but are also the venue for much that goes on within the parish. The 3rd Perth Boys’ Brigade, 6th Perth Rainbows, Brownies and Guides, The Guild, The Thursday Club, and Breakfast Club are hosted in our buildings. As well as the listed organisations the buildings are also used by the local community. Sitting opposite Kinnoull Primary School the Church enjoys a close working relationship with the school and we provide accommodation to the school for major end of term events as well as large scale concerts throughout the year.